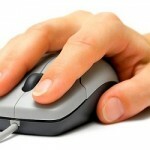 This button will take you through to our dedicated JustGiving pages. There you will be able to make either a one-off or monthly payment of any amount and you will be able to pay through credit/debit card or PayPal. You can also automatically request your donation qualifies for ‘Gift Aid’. e.g. 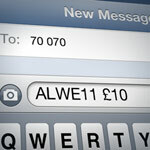 if you wanted to donate £10, you simply text the letters ‘ALWE’ then the number ‘11’ then the sum ‘£10’ to 70070. 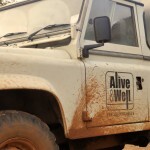 You will by return receive a receipt by text thanking you for your donation to Alive & Well. 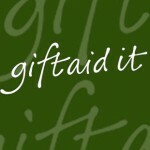 Gift Aid. If you are a UK tax payer and would wish Alive & Well to reclaim the tax that you paid on the sum you are donating, this will cost you nothing, it will effectively increase your donation by 28% and it will be an invaluable help to our funds. All you have to do is to complete this simple form and send it with your donation to the address above. Company Donations. 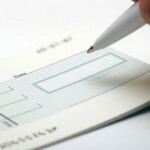 To make a company donation please send a cheque as above. Please note that Limited Company donations are not eligible for ‘Gift Aid’. Sponsorship. Please call 01749 831500 and we can discuss with you what aspect of sponsorship you might be interested in, the equipment that could carry your company logo and the media package we could offer your company for your promotions. Data protection (GBPR) note: We never provide any information you give us to anyone else, ever. We only use it to keep you informed of how your donation is being used.